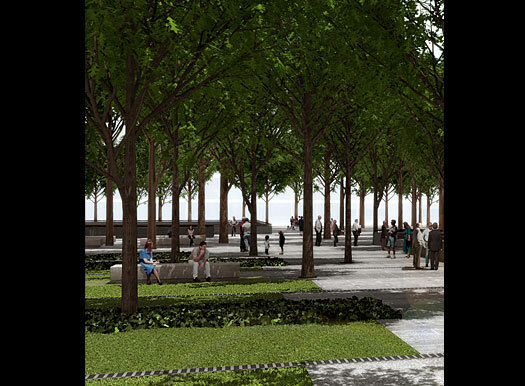 1) An 8 acre “Memorial Garden” with approximately 450 trees, 2 Memorial Ponds where the names of the ” 2700 victims will be “engraved” and a Museum are planned … a “Memorial Garden” or “cemetery” for the 2700 … the first trees were planted this weekend on 08/28/2010. 2). Every Mosque in the world shares one thing with every other Mosque in the world … do you know what it is? It is called the “adhan” … which many Westerners incorrectly translate as the “Muslim call to prayer”, the literal translation is the “Call to Islam”. 4). 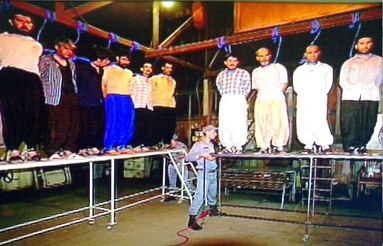 The “Call to Islam” is intended, by design, to “proselytize” or “recruit” people to Islam … Google ‘adhan” and select an Islamic site and you will read, “It is intended to bring to the mind of every believer and non-believer the substance of Islamic beliefs, or its (Islam’s) spiritual ideology. 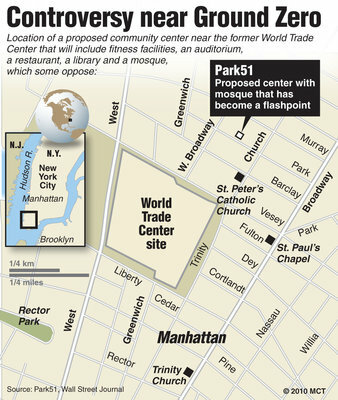 As the Mosque will be located 1 block away and will be 11 stories tall… the “Call to Islam” will cascade down on all those in the “park” 5 times a day for as long as the Mosque is 1 block away … visitors and the “permanent guests” alike will be subject to the daily intrusion of the “Call” on their acts of prayer and remembrance… or as an intrusion on their eternal place of rest … 5 times a day, 7 days a week, 365 days a year. 8). This isn’t a “freedom of religion” issue and the President should know this full well … This issue is one of balancing competing “freedoms” that are equal … everyone has the right to ball their hand into a fist and jump and spin around with wild abandon … that right ends when your “balled up hand” makes contact with another’s nose … in this instance the “balled up hand” is the “Call to Islam” and the “nose” belongs to the non-Muslims who want their right to visit the Memorial Garden without the intrusion of the “Call to Islam” respected … the “nose” belongs to the relatives of the departed who believe the “Call” is an unnecessary intrusion into the “eternal rest” of their departed loved ones… The inescapable point is this … the Mosque can be located anywhere … not so for Ground Zero … despite our best efforts … we will never locate all the bodies. For those of you who might mock, “what’s the problem… it’s just a “prayer” … the problem lies with the fact that the words of the prayer … ““In the name of Allah, the most merciful, the most compassionate” and “Allah is the greatest!” , were repeated or chanted as the the 911 attackers crashed their planes or slit the throats of flight crews and passengers on 9-11. In fact, these same words,” “Allahu Akbar“, are reported to be the last words spoken by Major Nadal Hassan, before he jumped up on a table and opened fire, murdering 13 at Fort Hood, Texas. The suicidal Jihadist cry of “Allahu Akbar“ is as infamous as the suicidal cry of “Bonzai” in World War II. What is a “Call” to worship for one is a bitter reminder of a senseless, cruel and incredibly violent taking of innocent life for thousands … An incredibly thoughtless and insensitive suggestion by the Mosque supporters … just what was the President of the United States thinking? NEW YORK—Michael Enright once volunteered with a group that promotes interfaith tolerance and has supported a proposal for a mosque near ground zero — an experience distinctly at odds with what authorities say happened inside a city taxi. 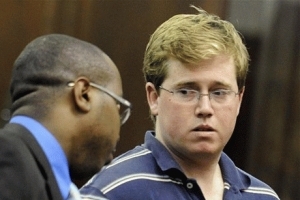 The baby-faced college student was charged Wednesday with using a folding knife to slash the neck and face of the taxi’s Bangladeshi driver after the driver said he was Muslim. Police say Enright was drunk at the time. A taxi drivers’ labor group quickly used the attack to denounce “bigotry” over plans to build an Islamic center and mosque two blocks north of ground zero. While supporters of the mosque say religious freedom should be protected, opponents say the mosque should be moved farther from where Islamic extremists destroyed the World Trade Center and killed nearly 2,800 people on Sept. 11, 2001. Mayor Michael Bloomberg, a staunch supporter of the mosque project, invited the taxi driver to visit City Hall on Thursday. …. The group, founded in 2007, says it’s dedicated to promoting justice, reconciliation and peace among people of different faiths, cultures, ideologies, races and classes. …. Until, of course, the facts began to surface … facts that once again, fail to support the spin …. It now appears that the assailant may be suffering from some sort of disability other than “islamophobia”. Turns out the highly intoxicated and belligerent Enright supported the Ground Zero Mosque and had worked, as has been documented, with an Interfaith Religious Group that conducted regular outreach programs between Muslims and Christians… that group? 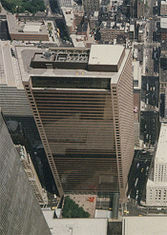 Intersections International. 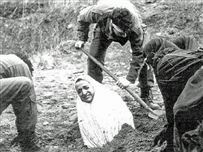 Additionally, as fate would have it … the injured Bangladeshi driver, Ahmed H. Sharif, who is, in fact, Muslim, expressed his opinion that “Ground Zero” is an inappropriate place to build the proposed Mosque …. If there were a Constitutional Right to build a house of worship, one might think that it would apply to all “houses of worship” equally … wouldn’t you … then again, this is the Obama Administration and this Administration has a set of rules it applies like no other Administration in the history of the United States. Have you tried putting up a public Christmas display or tried singing a “Christmas Carol” at Christmas in front of your City Hall ? “Everything is fine. I finished,” a hijacker says in Arabic. 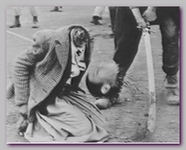 To the Jihadist, the Prophet Mohammed’s words directs one’s actions … In Japan, the “Prophet” was the Japanese Emperor. In Japan the Emperor was God’s representative on earth … (as to Jihadist’s, they follow a perverted interpretation of the Phophets words). 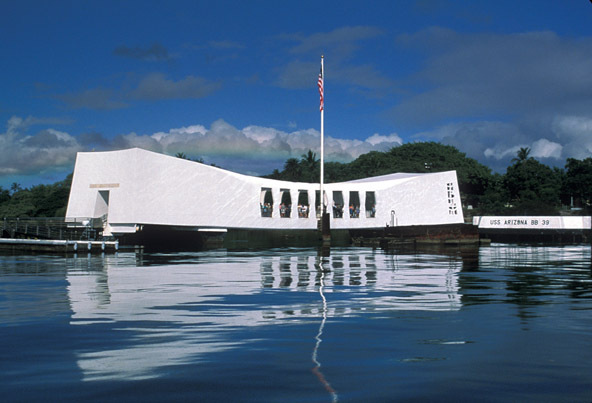 No one would ever suggest that it would be appropriate to locate a Shinto Shrine, never mind that some mythical “Constitutional Right” existed to build a “Shinto Shrine” on the shores of Pearl Harbor where the chant of “Banzai, Banzai, Banzai” would echo across the waters on a daily basis; the waters where so many American serviceman remain entombed. The Mosque isn’t located at “Ground Zero”. To borrow a phrase from the American Football star, Ocho Cinco, “Please Child”. I’m not certain how the MSM is defining “Ground Zero”, but it must be a very “restrictive definition”, a definition that very few Americans would accept as being honest or accurate. A definition that would be outright rejected if the individuals had ever actually visited “Ground Zero” in the weeks after the 9-11 attack, or worse, if they were one of the thousands who ran past the location where the Mosque will be built as they fled for their life’s as the WTC collapsed. The photo below shows one of the entrances to what is described as “Ground Zero” … this “entrance” is less than 300 steps from the Mosque. 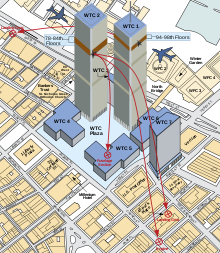 The Map below provides a visual reference of the path taken by the landing gear of one of the “homicide” planes to the roof of the building to be replaced by the Mosque. 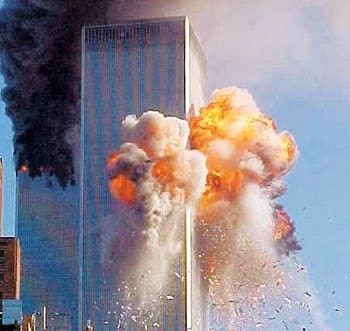 To deny the Mosque is the “Ground Zero Mosque” would be like taking a lawn chair to your local professional football game and attempting to sit on the sidelines with the players. As the security officers descend on you with handcuffs drawn, ordering you to leave the field, you are always free to explain that you are not, in fact, on the “football field” … as the “field” is outlined by “a white chalk rectangle” roughly 120 yards long and 50 yards wide and you and your chair are at least 30 feet outside that “box”. 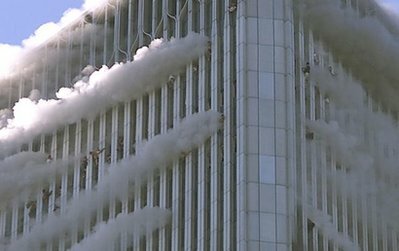 The video below, with the late Peter Jennings as the announcer, features WTC 7 before it’s collapse. 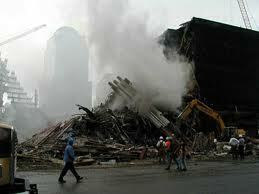 The twin WTC Towers have already collapsed. 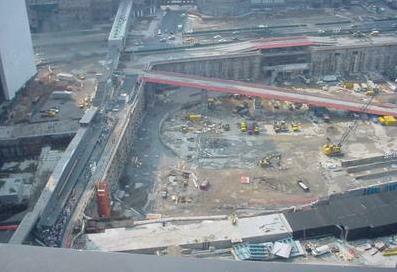 WTC 7 is visible in the center and left center of the video. WTC 7 has smoke billowing all about it … as the maps above indicate; the proposed Mosque site is less than 300 steps from the corner where WTC 7 stood. WTC was 47 stories tall. You decide … is the Mosque at Ground Zero or not? 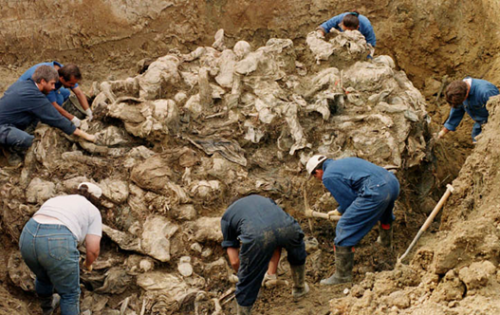 I want you to stop and imagine for a moment that the “Bosnian Killing Fields”, where 8,000 Muslims were murdered in cold blood, that these killing fields were located in upstate New York instead of Srebrenica. 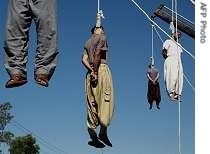 Next imagine that a Christian Group announced plans to build a Community Center and Church on the “Killing Fields”, you know, to help build bridges between the ‘groups” and that loud speakers would adorn the “Center” and broadcast the “Rosary” across the fields, five times a day, 7 days a week, 365 days a year …. Who would be protesting that exercise of “Freedom of Religion” …. 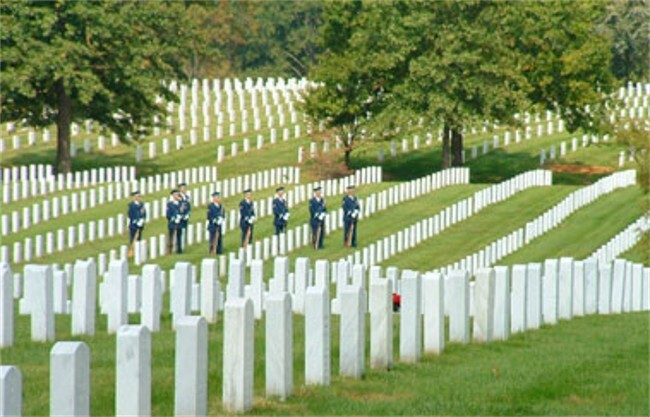 the permits to build would be denied outright, and the denial would be rightly applauded not protested …. 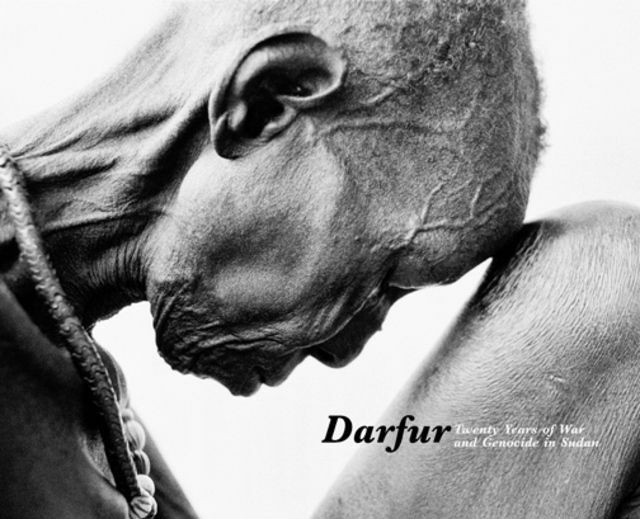 The New York Times (15 May 2004) said that many of the racist attitudes traditionally directed toward slaves have been redirected to the sedentary non-Arab Racist ideology plays an important part of the Genocide, the sharp distinctions between Arabs and Africans in the racially mixed Darfur region had not been drawn until the ideology of pan-Arabism , an ideology that originated in 1860’s Sudan and later in Libya, made itself felt. Some of the nomadic sheiks of the region came to see themselves as the avatars of Arabism, the authentic representatives of their Bedouin origins. They foisted a racial label on a farming people whose way of life they simultaneously disdained and felt threatened by. Arabs see the black African nationals of the Sudan as inferior to the Arab peoples, the racism, racial sentiments against non-Arabs have been used & manipulated by the central government for political and religous purposes. 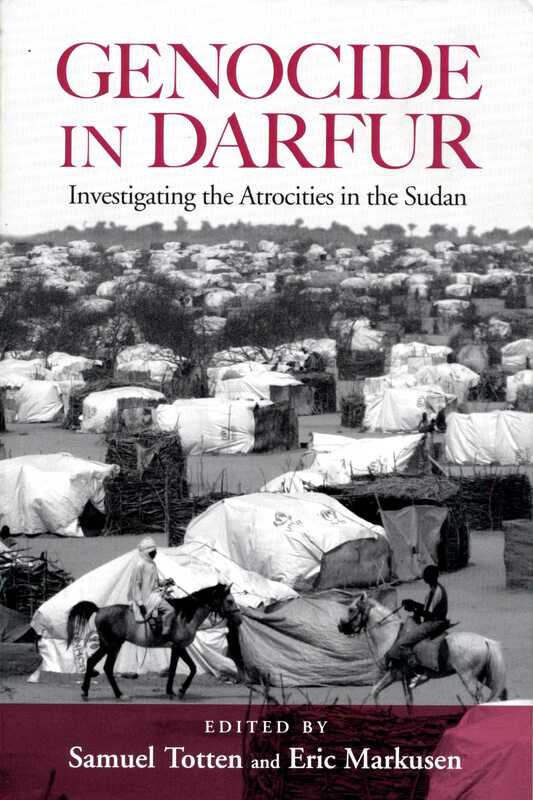 The Christian Science Monitor asserts that racism is at the root of Sudan’s Darfur crisis and the decade long genocide. 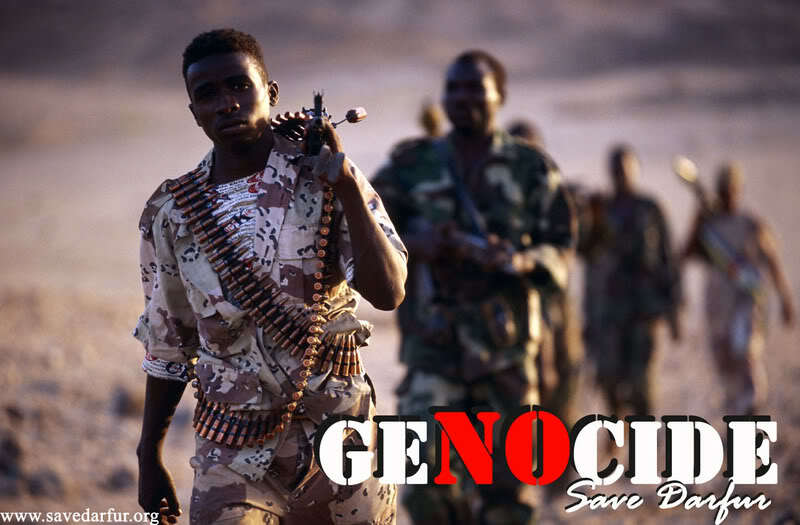 The reluctance to call it genocide perpetuates hypocrisy in Afro-Arab relations., “Arab militias are force behind the racist, fundamentalist, and undemocratic Sudanese state” Those who call themselves Arabs point to Arab ancestors who arrived as slave traders both before and after the arrival of Islam, and who gradually converted local Sudanese to the Islamic faith. 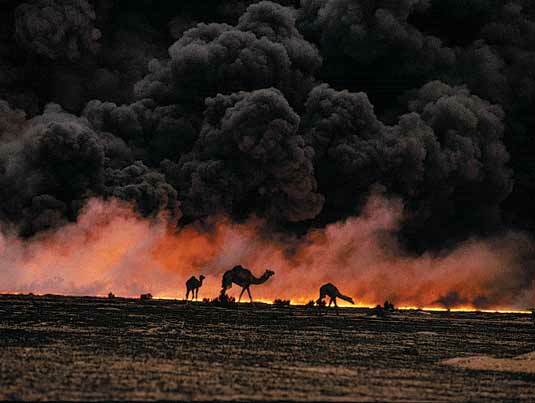 President Nimeiry of Sudan, said in 1969: “Sudan is the basis of the Arab thrust into the heart of Black Africa, the Arab civilizing mission.” this genocide has been described as an example of Arab racism at its worst. The Arab Gathering, a shadowy Nazi type brotherhood deeply embedded in the Bashir regime, preaches a doctrine of Arab supremacy and a Sudan “cleansed” of non-Arabs. 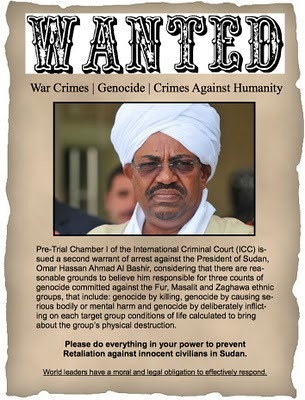 (Ethinic cleansing, the atrocity whihc is closely held by NAZI and HAMAS alike, is alive and well in Dafur) Der Spiegel wrote that the Sudanese regime uses tribal conflicts and Arab racism to justify their genocide. The Ground Zero Imam, Feisal Abdul Rauf: Is He a “Truther”, does he blame the U.S. Government for 9-11? 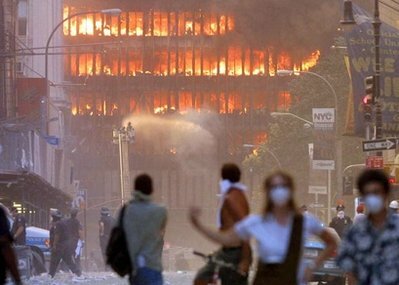 Does Imam Rauf blame that the U.S. Government for blowing up the WTC? 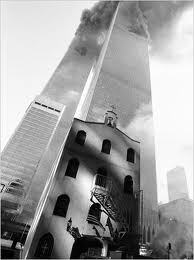 What are they talking about … some mythical “freedom to build a house of worship” … there is no such thing … Did you know that a Greek Orthodox Church was destroyed on 911 when one of the Towers collapsed on it? St. Nicholas Greek Orthodox Church. The City has denied the Church permission to rebuild. 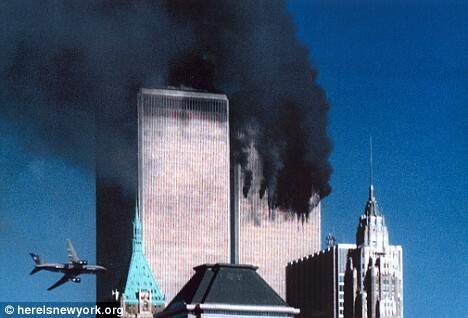 Watch the video below … the collapse of WTC #7, which was located one block away from site where the proposed Mosque would be built …. the “reporter” speaking to the woman and child as WTC 7 collapses was 11 blocks further away than the proposed Mosque site ….. You decide …. just how restrictively should we “define” Ground Zero ……. The video below, with the late Peter Jennings as the announcer, features WTC 7 before it’s collapse. 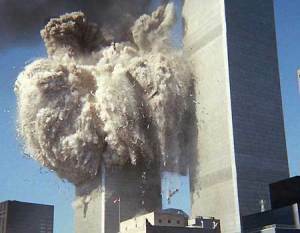 The twin WTC Towers have already collapsed. 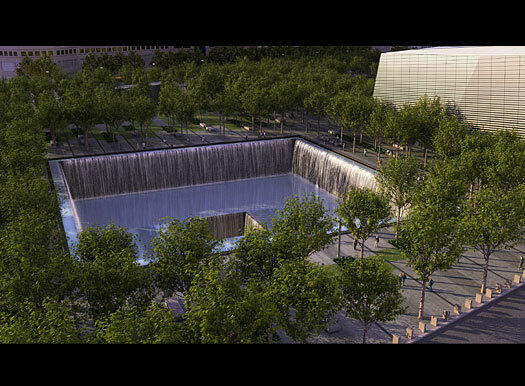 WTC 7 is vsiable in the center and left center of the video. 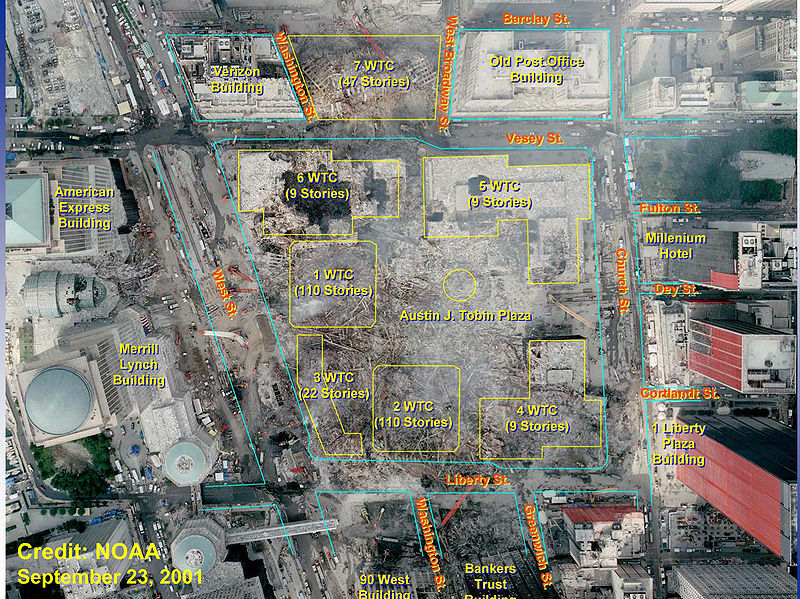 WTC 7 has smoke billowing all about it … as the maps above indicate, the proposed Mosque site is less than 300 steps from the corner where WTC 7 stood. WTC 7 was 47 stories tall. 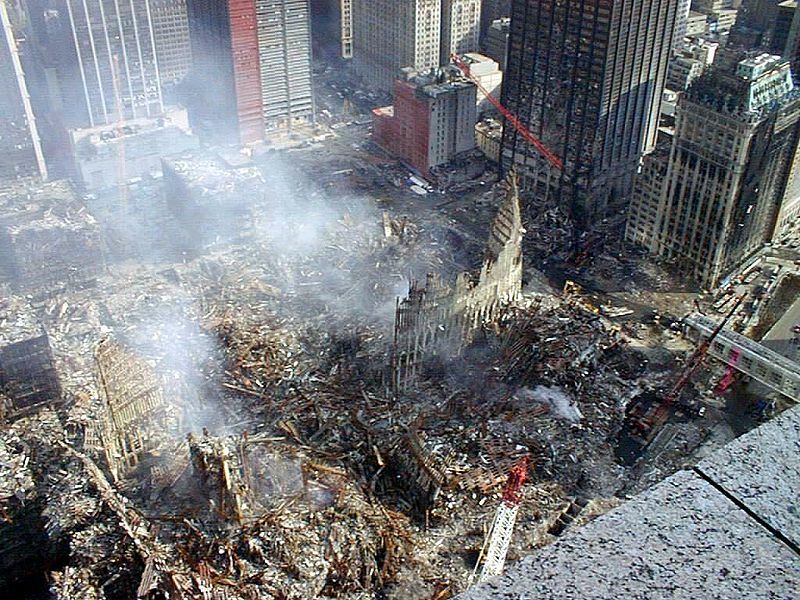 Had WTC 7 toppled over in the direction of the building to be replaced by the Mosque … the building would have been burried in the debris. 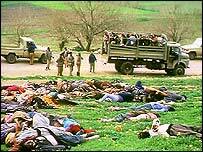 I want you to stop and imagine for a moment that the “Bosnian Killing Fields” where 8,000 Muslims were murdered in cold blood, were located in up state New York instead of Srebrenica. 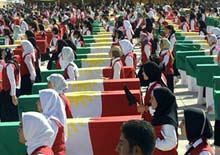 Next imagine that a Christian Group announced plans to build a Community Center and Church on “Killing Fields”, you know, to help build bridges and that loud speakers would adourn the “Center” and braodcast the “Rosary” across the “killing fields”, five times a day, 7 days a week, 365 days a year …. Who would be protesting that exercise of “Freedom of Religion” …. the permits to build would be denied outright, and the denial would be appaulded not protested ….